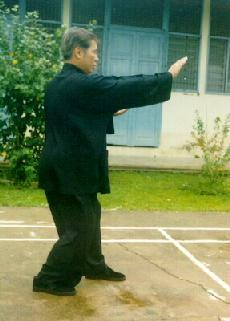 It is not true that Shaolin Kungfu is for the young and Tai Chi Chuan for the elderly. Both arts are for people of all ages. 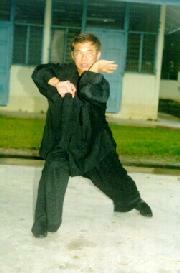 My oldest student, Robert Trout -- you may view his photograph here -- started Shaolin Kungfu with me when he was 87! Tai Chi Chuan training can be very tough: most untrained youngsters cannot remain at the Tai Chi Stance for more than 5 minutes. Nevertheless, Shaolin gymnastics (not real Shaolin Kungfu) is more suitable for younger people, and Tai Chi dance (not real Tai Chi Chuan) more suitable for older people.